Kitchen Vortex Water Revitalizer | World Living Water Systems Ltd. Perfect for people living in apartments or rented homes because of their small design and simple installation, the Kitchen Vortex Water Revitalizer is also great for traveling! It installs directly to your kitchen tap and is non-permanent, leaving no marks or damage to your fixtures. 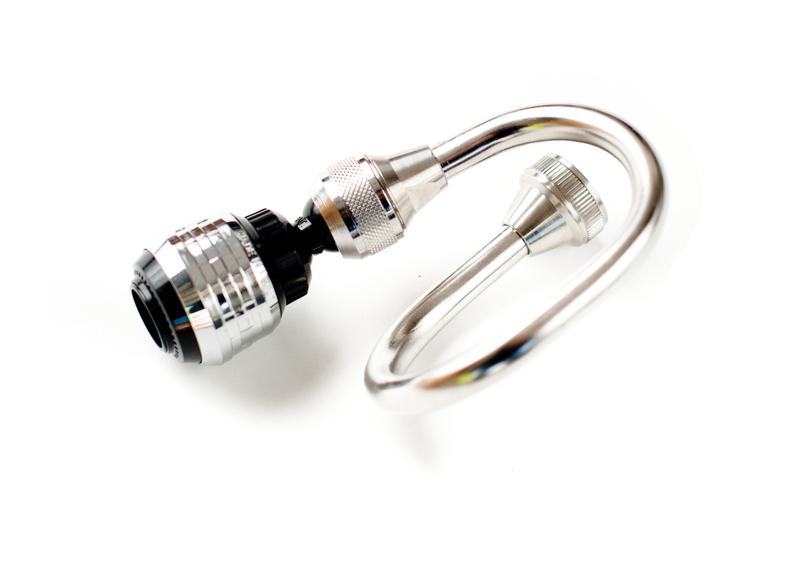 If you have a pullout kitchen faucet, you will need a pullout faucet adapter. You can download installation instructions here. Our full product line comes with a 60-Day Money Back Guarantee and a 10-Year Limited Warranty. Try it out risk free today! This product was Made in Canada.